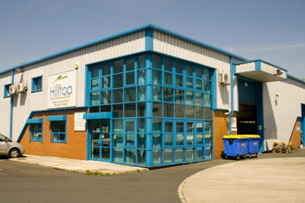 Hilltop has 40 years experience in the supply of heat shrinkable tubing and the manufacturing of PVC tubing. We Supply a wide range of Heatshrink tubing, Cable protection and Cable identification products to many industries such as Automotive, Aerospace, Military, Marine and also many commercial applications throughout Europe and, to many destinations across the world. We offer cable protection and identification solutions with fast turnaround, on-site cutting, printing and kitting facilities allowing us to meet individual customer specifications. Our success is built on the outstanding level of customer service provided to all of our customers. Hilltop hold an extensive range of products in a wide range of colours and sizes in stock and available for shipment same day. We are the only UK supplier of Heat Shrink, Cable Protection and Identification products that will hold any stock line for our customers out to a 16 month end date, ready to call off for same day despatch with no associated costs until your order is received.